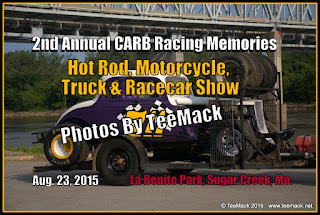 The 2nd Annual Racing Memories Hot Rod, Motorcycle, Truck and Race Car Show was held at La Benite Park in Sugar Creek, Mo. on Aug. 23, 2015. 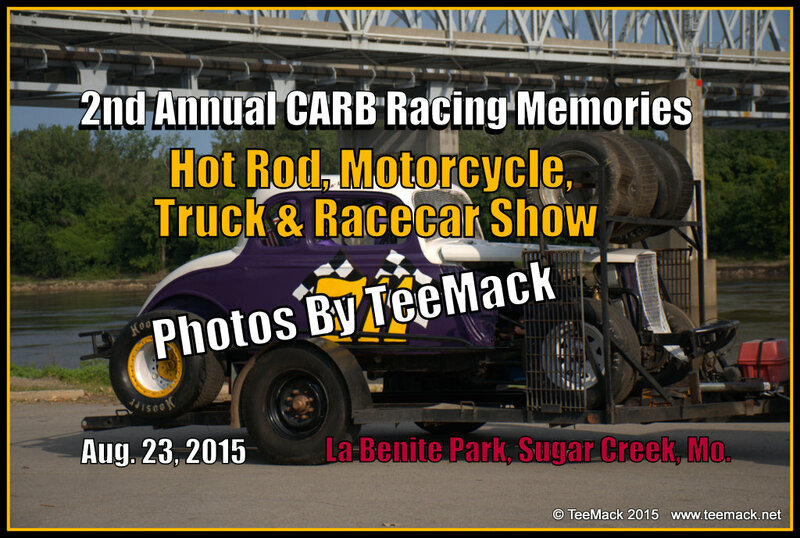 The annual event was hosted by the Central Auto Racing Boosters Hall of Fame and Museum. The event had been postponed from June because of all the rain. About 100 vehicles attended the event. The weather was fantastic for the show, with temperatures in the mid 70's and plenty of blue skies. Everyone had a great time at the show. Click here to view photos of the Show.